I am trying out this “Throw back Thursdays” thing. 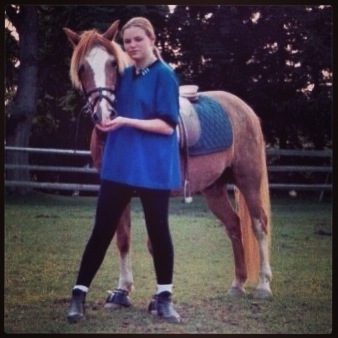 Here is a photo of myself and my pony Osh Kosh. I was about 19 years old which puts this in the 1998 time frame. I am at home, in my parents pony paddock. I still have Osh Kosh. He is in his late 20s/early 30s and out on free lease with a pony club family. That is so sweet that you still have your pony.